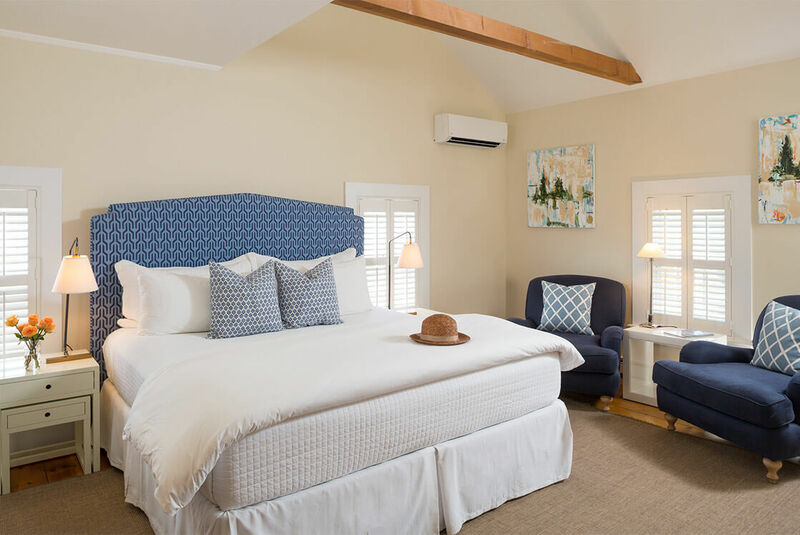 Room 16 is on the second floor, and has a northwestern exposure and a view overlooking our restaurant’s beautiful patio and fire pit, and picturesque Main Street in Chatham. The corner location has windows on two sides of the room, creating a bright and comfortable setting. 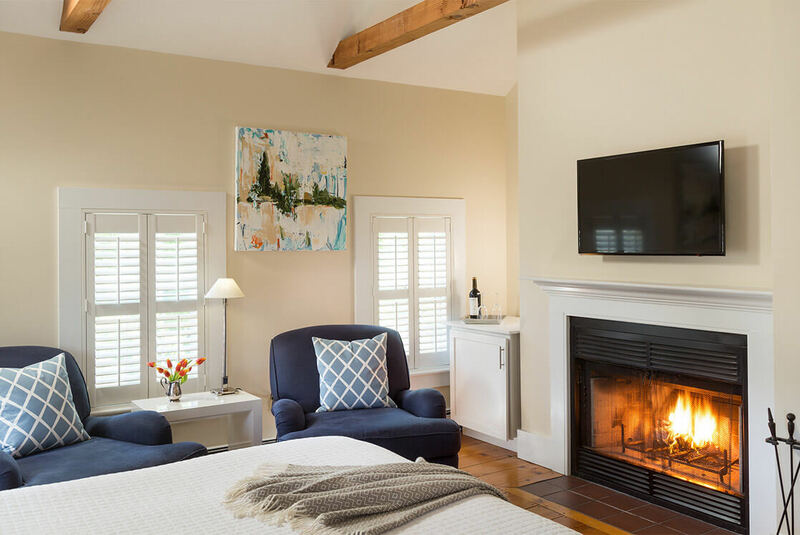 This is a very spacious King room, with wide plank wood floors, beamed vaulted ceiling, wood burning fireplace, and refrigerator. 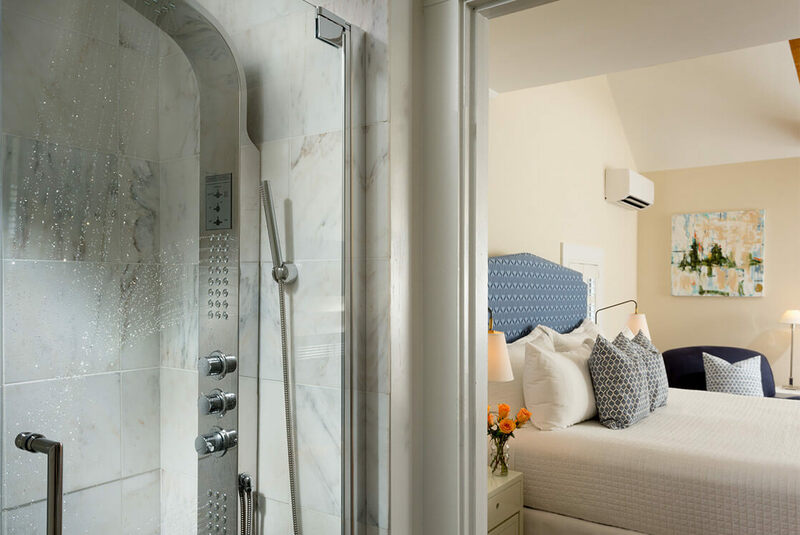 The room also features a brand new marble bathroom, with our Signature Spa shower with overhead rain shower and body jets, marble surround, and frameless glass door. 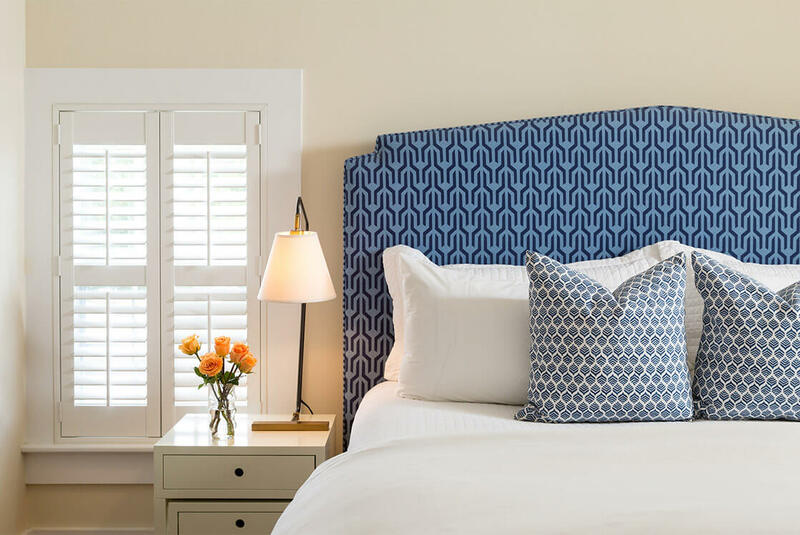 All of our rooms include a flatscreen television with HD DirecTV, Nespresso coffee maker, luxurious robes and Frette slippers, USB charging stations, iron and ironing board, blowdryer, and complimentary wifi. 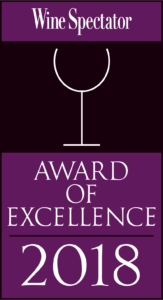 The room is located in a private area of just four rooms, and is above our chic wine bar. The restaurant, patio and wine bar close at 10pm.